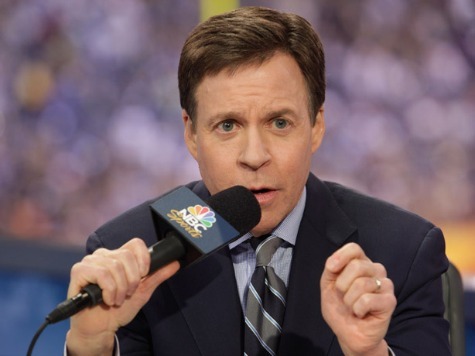 While being interviewed by Late Night host Seth Meyers, NBC analyst Bob Costas bet athletes cannot be trusted with guns. According to Politico, Costas said there is a “gun culture” and referenced “dozens if not hundreds of sorry incidents” tied to athletes and guns that took place prior to his initial 2012 NFL halftime speech on gun control. Let’s make a bet, you and me. Let’s say over the next five years we’ll do a Google search. We’ll have an independent party monitor it. You keep track of how many good and constructive things are associated with athletes having a gun, and I’ll keep track of all the tragedies and criminality and folly. And let’s see who comes out ahead or behind as the case may be.